North Coast Land Conservancy occupies half of the top floor of a two-story office building on US Highway 101 at the north end of Seaside. It happens to look out over the Necancum Estuary, where Neawanna and Neacoxie creeks meet and become part of the Necanicum system. Here the creeks’ footprint spreads out, as freshwater mingles with saltwater at high tide, just before entering the Pacific Ocean between Seaside and Gearhart. 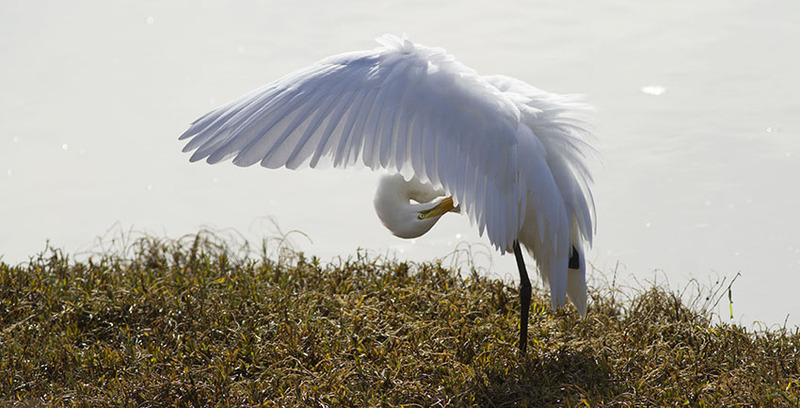 As photographer Neal Maine points out, the estuary is a public resource, one utilized by an unending parade of Oregonians and visitors: two-legged, four-legged, finned and winged. … which aren’t keen on the competition. Pair of bald eagles perches in Sitka spruce on NCLC’s Neawanna Point Habitat Reserve. 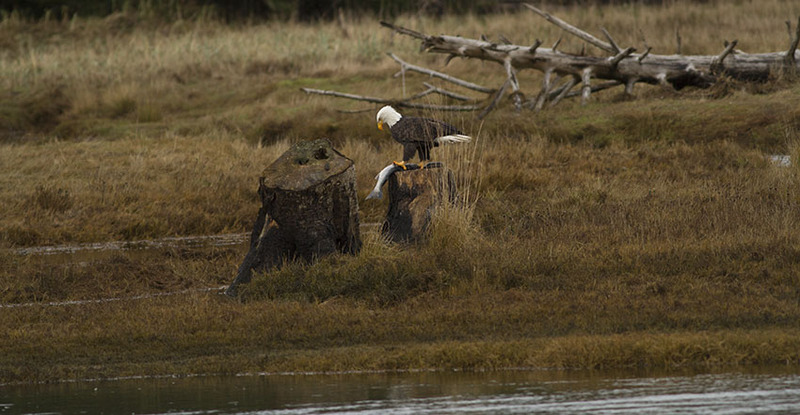 Watch the saltmarsh and you’ll see, as Neal puts it, “the grand cycle of nature being played out,” such as in this bald eagle taking apart an adult coho salmon it just plucked from the estuary. 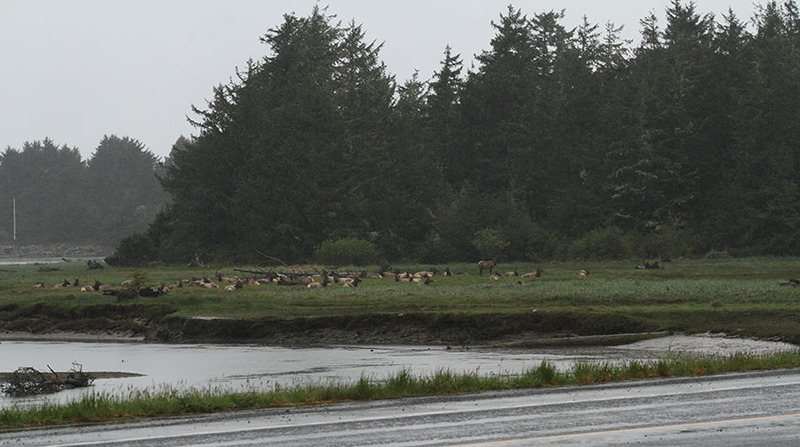 Elk rest in the same vicinity where Neal photographed both eagles–right across the rain-covered highway from the land trust office. 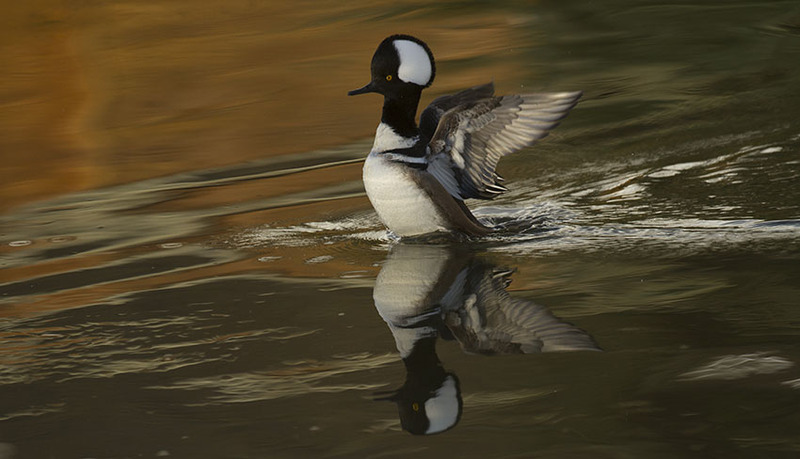 Male hooded merganzer snapped between flying and paddling in the estuary. Surf scoters, characterized by that distinctive beak, are typically seen bobbing among the waves on the surfline. 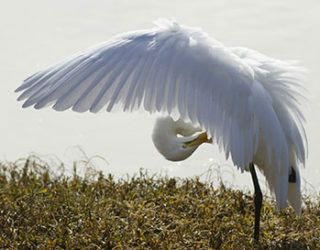 But they also enter the estuary to feed, especially in winter–as they have here. A line of western grebes is a fairly common sight in the estuary. 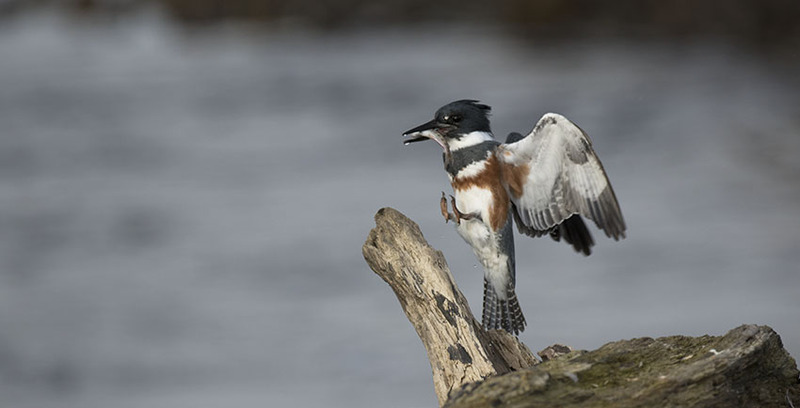 Kingfishers perch on the telephone lines along the highway right above where Thompson Creek spills through a culvert into Neawanna Creek on its way to the estuary. 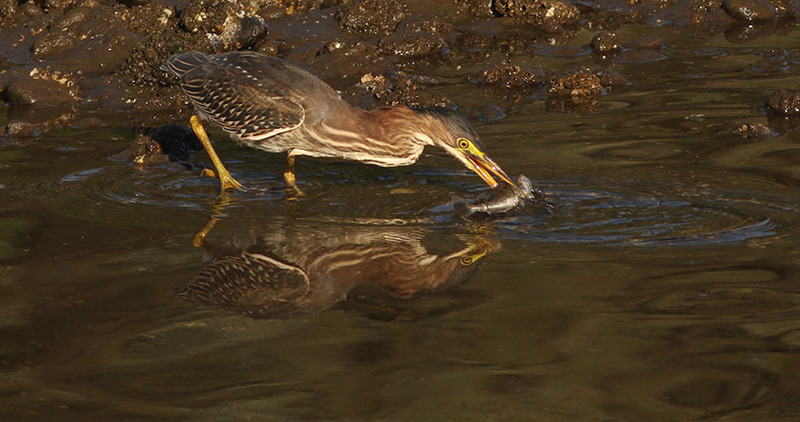 From there they spot their prey and dive. Look closely: that’s a coho salmon smolt in its mouth.